Facebook is a great channel for generating more leads to your business, driving more traffic to your site, and growing your contact list, especially with the use of customized Facebook Apps. Facebook Apps are essentially what we used to call Facebook tabs. These apps provide your hotel the opportunity to enhance your fans’ experience with engaging and useful content as they navigate through your Facebook business page. Having a custom and well optimized Facebook App allows you (the hotels) to engage fans and help them complete desired actions from providing you with their contact info to booking a room at your property. 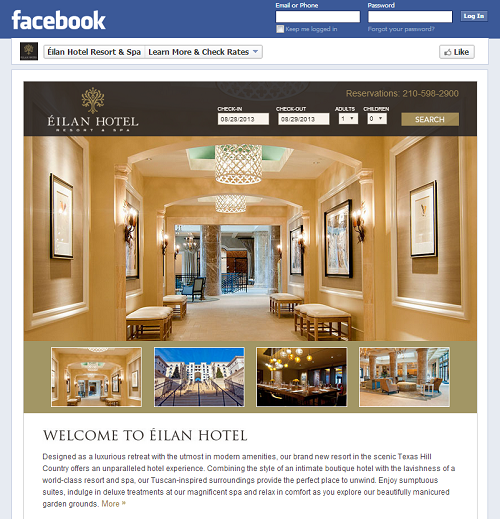 Below, we provide several Facebook Apps examples that can help drive fans, traffic, and business to your hotel. Showcase your property’s unique selling points. Give travelers an online view of what your hotel has to offer. You can include property images and videos and a list of the best and finest amenities available at your property. 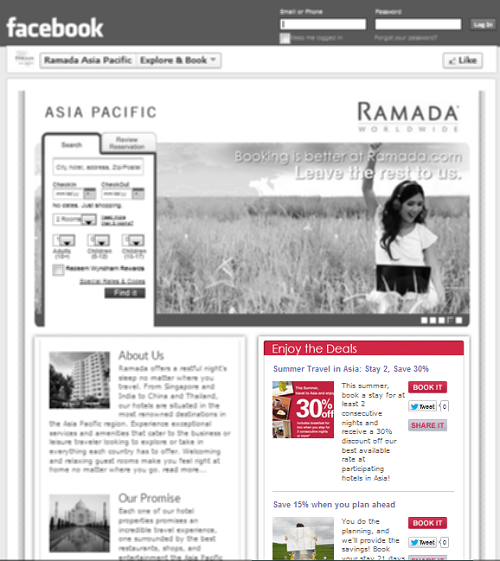 Increase your hotel’s fan base and online bookings by sharing current specials and offers on your Facebook App. 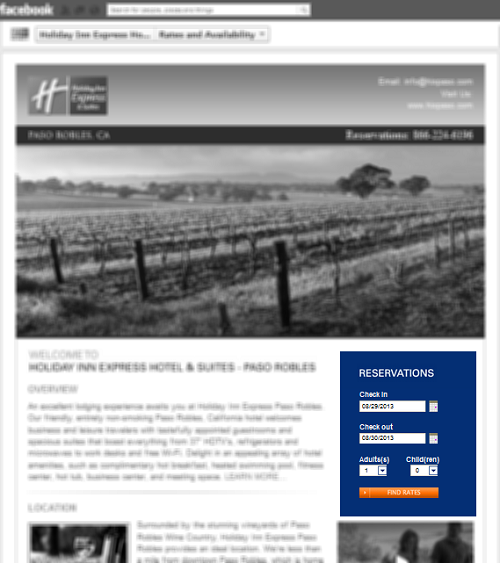 Increase your hotel’s online revenue by offering them a way to book a room on the channel they frequent most. While Facebook isn’t a hard-sell platform, not having a booking engine available if they decide to check rates means a missed opportunity. 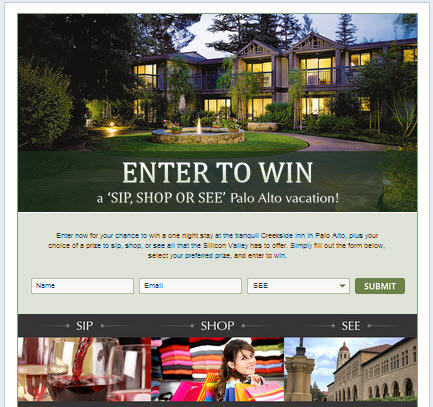 Generate buzz and increase social reach and engagement by hosting a contest or sweepstakes. This is a great way to increase your fan-base and contacts list since you can require the Facebook user to first like your page, enter their contact info for a chance to win prizes, and incentivize social sharing of your page to increase their chances of winning. Click here to read the Facebook Sweepstakes case study. 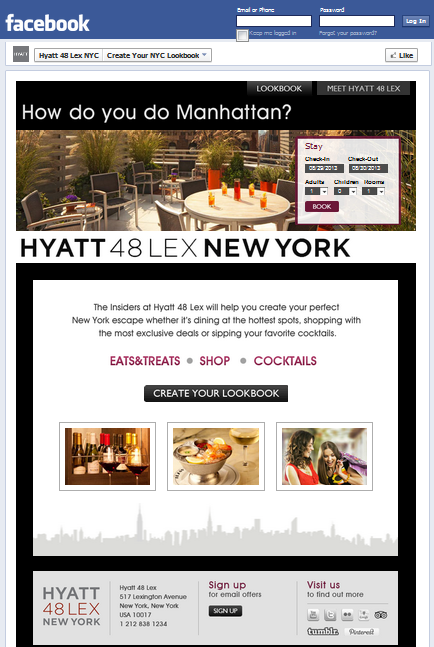 Improve your hotel’s social engagement score by integrating a poll or survey on your Facebook App. Gamify the survey to make users want to share it, by giving the user a reason to complete it – like providing unique insight into attractions to visit in your area based on their specific interests. It’s nice post, but i think there is lot more to do in social media to get more engagement and interaction with users socially. Try to build up a speech or a concept of your hotel with all facilities, services and special features afterwards you’ll be able to define one topic for each month. Entering a link attempt to use a shortener like bit.ly – or – if you enter video url or links you can delete once you view the multimedia document.